The OCD Clinic® is Malta’s only clinic solely dedicated to Obsessive Compulsive Disorder in all its forms. The OCD Clinic’s primary aim is to provide the most effective, brief and efficient treatment for all forms of Obsessive Compulsive Disorder. From hand washing, counting, obsessive fixations and hair pulling to vomiting, binge eating, bulimia and self-harm, our unique treatment is developed and advanced through our continuous scientific research. The clinical research process, involves the coordinated and ongoing feedback from each of our clinics in Ireland, Italy & Malta, as we continually seek to perfect our treatment for Obsessive Compulsive Disorder. Utilizing over 25 years of clinical research and with 1000’s of patients successfully treated using our model of intervention known as Brief Strategic Therapy®, we have proven (Gibson 2014, Nardone 2013, Portelli, 2007) that even though human problems can be persistent, complicated and painful, we do not always require a long and protracted form of intervention to solve the problem and relieve the suffering. Our model has shown itself to be the most effective and efficient forms or treatment for Obsessive Compulsive Disorders disorder currently available anywhere (Ray & Nardone 2007). The OCD Clinic® website provides information on our treatment method and our clinical research process and our international clinical training. Whether you suffer with Obsessive Compulsive Disorder or if you are a family member, friend or health professional, this website aims to provide information for you on the signs, symptoms and effective treatment for Obsessive Compulsive Disorder. We seek to assist patients in fully overcoming Obsessive Compulsive Disorder. 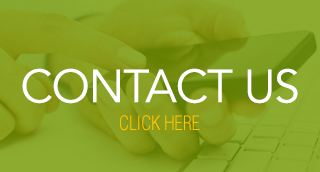 Our aim is to provide you with the necessary understanding needed to solve this disorder. At The OCD Clinic® it is possible to completely overcome Obsessive Compulsive Disorder. With our effective professional treatment and the support of family and friends where necessary, it is possible to eradicate all traces of OCD from a person’s life. The OCD Clinic® International, currently provides the most effective psychological treatment for Obsessive Compulsive Disorder. 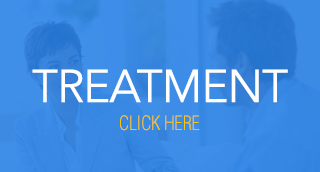 Treatment is brief and effective, with an average of 8-10 sessions provided for successful resolution of the disorder with an 88% success rate.